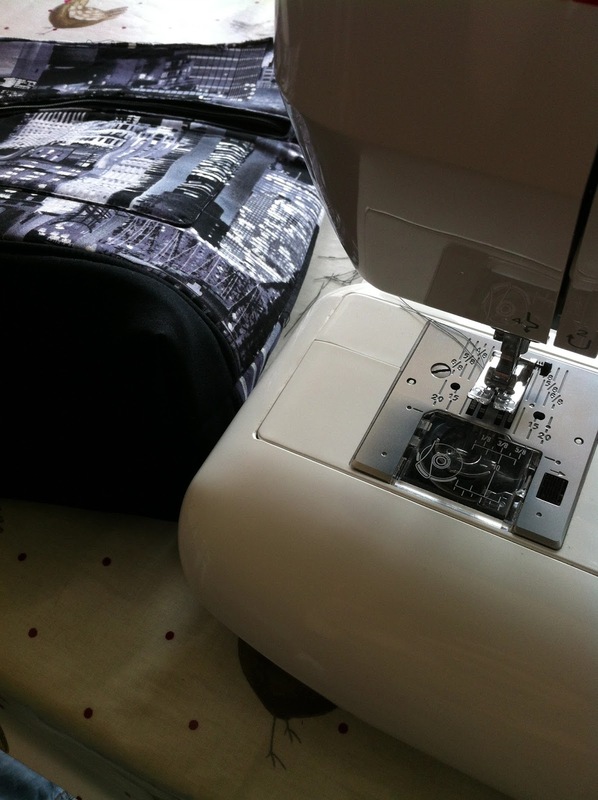 Sewing the Lapin Noir bag, pattern by Sew Sweetness | Sewn by fabricandflowersSewing the Lapin Noir bag, pattern by Sew Sweetness | Sewn by fabricandflowersTee hee – after writing the blog title, I realised that some people might come here through Google expecting something to do with a black rabbit but No! 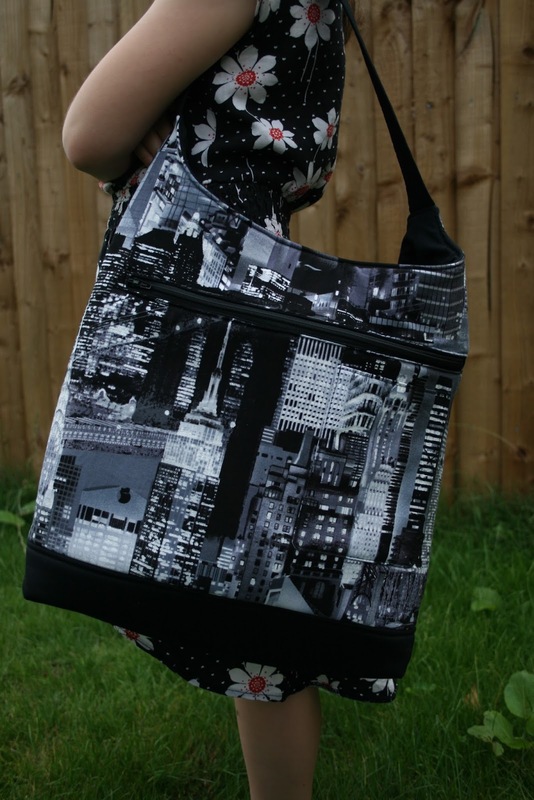 I’ve gone and made another bag!!!! The rest of the bag I made up as normal, omitting the strap extenders and tabs. For the main shoulder strap, I measured the width of the tab after I had sewn the side seam and cut a piece of fabric 4 x the width of the tab (less the seam allowances needed for sewing the bag front and lining together, about 4″) and then made as per the pattern. And here we have it – a new take on the Lapin Noir, as modelled by Little Girl! And check out the almost perfect pattern placement on the phone pocket! Although I have to say that it was more luck than judgement!!! This is such a fun pattern to make, I can still see more in my future, maybe with a longer strap so that I can wear it across my body?! Today’s sky ● gorgeous blue and overcast at times!